Last week at Calvary Com ments, we brought you our Walkathon Kickoff post. This week, we’d like to give you a little more insight into the event. 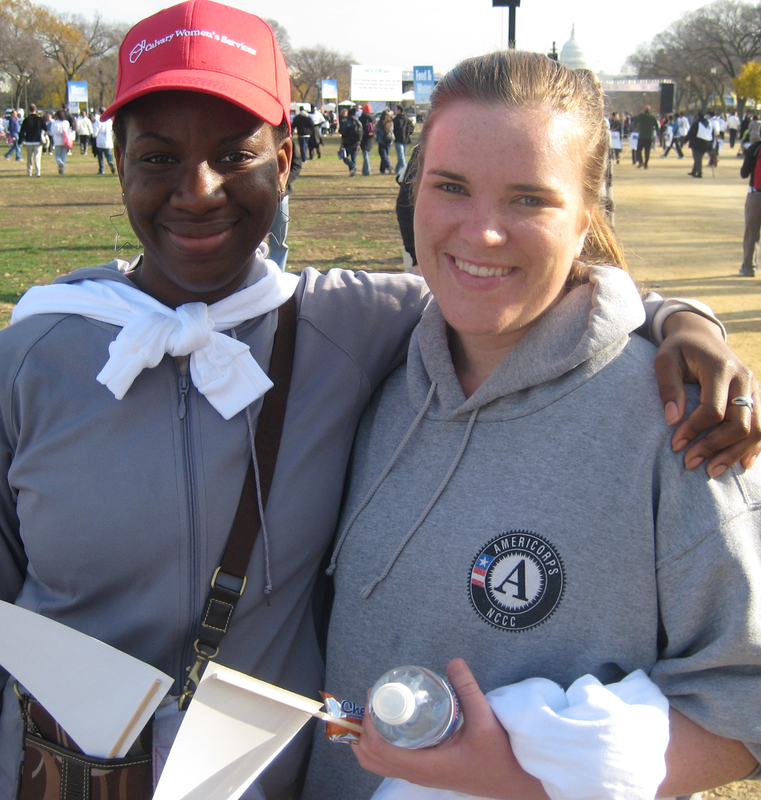 The Walkathon is sponsored by the Fannie Mae Foundation, who first started the Help the Homeless Program back in 1988. Every year since then, the Help the Homeless Program has culminated with the Walkathon, always held on the Saturday before Thanksgiving. At a time when you are thinking about what you are thankful for, you may also be considering how you can give back to those in need – and the Walkathon is a fun and meaningful opportunity to do just that! Last year, over 17,000 walkers gathered on the National Mall to be a part of the Walkathon. It will be a truly phenomenal experience to see such a strong community of individuals walking beside each other for one goal – supporting those who have become homeless. Almost 50 walkers have signed on to walk for Calvary, and together they have raised over $6,000 so far. Please join us and take part as a member of our team! Molly Cohen comes to us from Newton, Massachusetts. This will be Molly’s first year walking for Calvary, and she is excited to start making memories as part of this inspiring Washington D.C. tradition. After volunteering with Calvary, Molly is thrilled to have a new, fun way to show her commitment to Calvary with the Walkathon. In her own words: “I am looking forward to seeing a fuller Calvary community. I’ve met many great people volunteering overnight – but it’s only one small slice of the organization.” The Walkathon also gives Molly a chance to share her enthusiastic Calvary spirit with family and friends who will be walking alongside her on the morning of the Walkathon. If you run into her the morning of the Walkathon, ask her about her secret talent – she can ride a unicycle! Calvary’s own tradition is to meet at the Carousel on the Mall the morning of the walk for coffee & donuts. Molly is just one of the volunteers who will be there – please join her and the rest of the Calvary team on November 20th. You can check out Molly’s Walkathon Page here. And remember to take a look at Calvary’s Team Page to see our updated progress!